You are currently browsing the Archaeofacts.com archives of Musings for the day Saturday, September 16th, 2017. Heh. My latest book requests came in at the library and the Guru picked them up for me. Starting to think about being ambulatory! and taking another big trip. 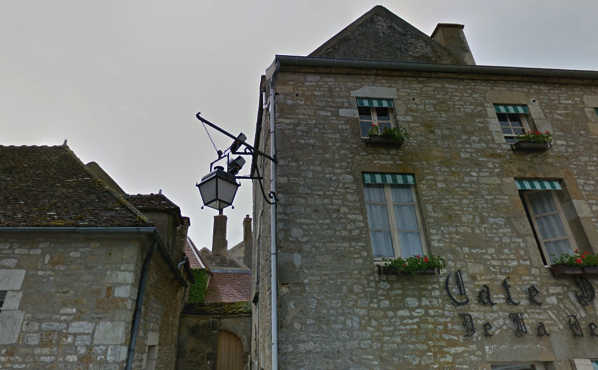 Looking around in GooStreetView, you can find unexpected details…like these security cameras above a street light…in a darned small hilltop town, in this case still with most of its medieval walls and gates. Town name: Vézelay, in central France..